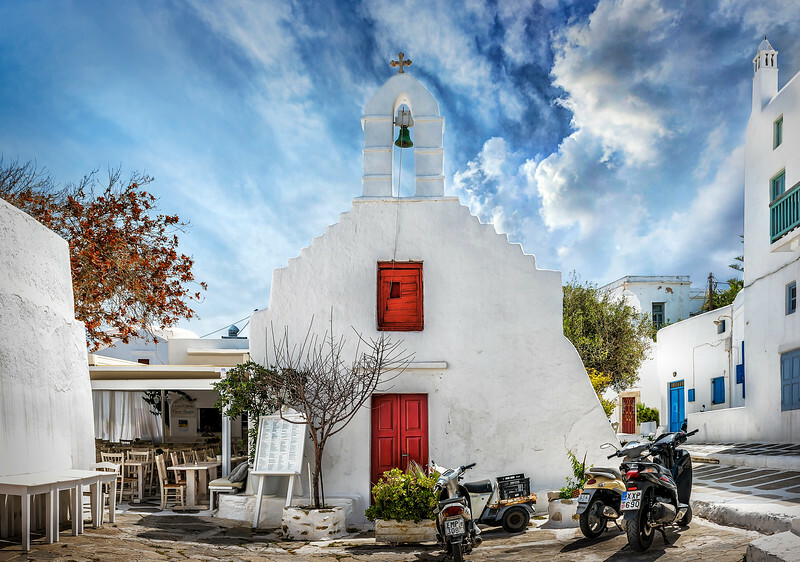 Walking through Mykonos, there are many churches to be seen. I almost missed this little white church as it was tucked in behind several buildings. And while there are mighty churches and ornate churches, this was Mykonos and perfectly fitting. With it's bright red doors and simple bell, it felt like a church I'd want to visit. Like it's residents; unpretentious, strong and welcoming.